Since first working in her family’s Mendocino vineyards, Kathryn Hall dreamed of a place to showcase fine wines alongside expressive art and masterful architecture. Now, Kathryn and Craig Hall are creating an unrivalled destination in the Napa Valley - where winemaking excellence and innovation meets contemporary design to celebrate life and inspire the senses. In addition to the impressive St. Helena winery and tasting room, HALL Rutherford, which was purchased in 1995 with the Grand Opening in March, 2005, boasts a state-of-the-art winery amid the legendary Sacrashe Vineyard in the hills of Rutherford that is dedicated to making single vineyard and limited-production wines. 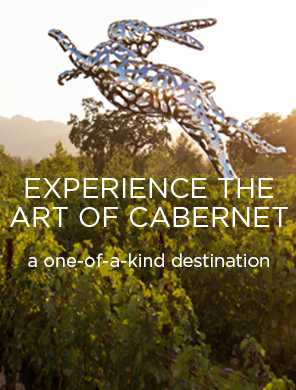 Both locations provide a memorable wine country experience – tasting through award-winning wines, embracing incredible contemporary art and taking in the vistas. HALL’s estate vineyards encompass more than 500 acres of classic Bordeaux varietals; Cabernet Sauvignon, Merlot, and Sauvignon Blanc. As winegrowers, the Halls have a strong respect for the environment and a commitment to cutting-edge vineyard technology to yield the highest quality grapes. Through meticulous attention to detail in the vineyards, HALL wines are able to express the unique and diverse character of Napa Valley’s soils and climate. 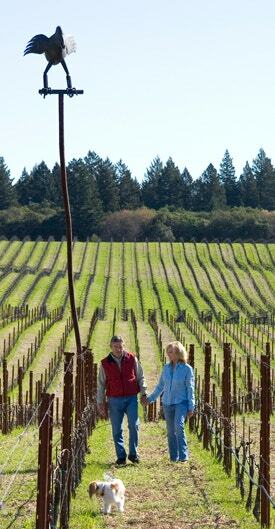 Under the artisan-ship of winemaker Steve Leveque, HALL Wines continue to set new heights in Napa Valley winemaking. We invite you to discover HALL!